No gift is too small. Your tax-deductible donation will help save lives. Donate by clicking PayPal Button below, or by downloading Monthly Bank Donation Form and returning it to the shelter. Giving to the Humane Society through your company is a great way to show the people of Fort Smith how much your business cares about being a good corporate participant in our community, while making a tax-deductible contribution. We must help those who cannot help themselves, and a great way to do that through your business is by participating in our Partnered Under Paws (PUP) sponsorship program. The objective of PUP is to partner with more local businesses to help aid in the fight against cruelty, abandonment, and overpopulation and help find responsible and loving homes for these helpless animals. Many people do not know that the humane society does not receive any federal or state funding and operates solely on grants and local donors . As we are one year into a two – year endeavor to be a “No Kill” shelter, in addition to the increase o f animal control intakes we are extremely overpopulated. We have over 600 cats and dogs ongoing in addition to the farm animal rescues. We are the largest animal shelter in Arkansas and receive many animals in horrible conditions who have multiple medical needs. Right now, our medical fund is completely depleted and more so than ever before we need the help of our community. General sponsor recognition for all HOPE Humane Society events for the year. Customizable giving opportunities are available. In addition to filling an important role in providing for the future financial security of your family and others, your will or living trust can offer a way to make thoughtful charitable gifts as part of your long-range estate and financial plans. 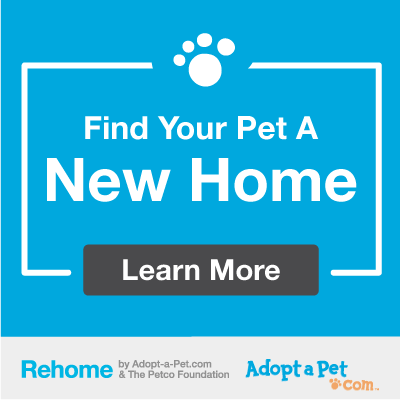 It can be satisfying to know that a portion of your property will be put to good use saving cats, dogs, and other helpless animals in the Fort Smith area. A gift made through a will or living trust can be convenient to arrange. A simple provision or amendment prepared by your attorney at the time you make or update your will or trust is all that is necessary. Gifts included in wills and living trusts are popular because they are flexible, easy to arrange, and may be changed with your life circumstances. These gifts also ensure that your legacy of sharing your love for animals continues through the work of HOPE Humane Society. Our Executive Director, Raina Rodgers, is here to help you explore the many possibilities. Please call 479-783-4395 or email [email protected]. Donate something from our Immediate Needs List (see below). Sponsor an Animal; If you can’t have one of our animals and you want to help one sponsor it by paying its adoption fee so that the adopter only has to pay an application fee of $10. Monthly Giving; Sign up to make a donation each month on your credit card or out of your checking account. Become a Member; The individual membership rate is only $25, family $50, couple $45, senior and student is $10.00. This helps us keep in contact with you on what is happening at the shelter. Sponsor a Kennel; Get your name or message on a plaque that will hang on the outside of one of our dog kennels for just $500. Sponsor a Room; Get your name or message on a plaque that will hang on the outside of one of our many rooms. For more information, Contact Raina Rodgers. Attend an Event come to one of our fundraising events and have some fun while helping the animals. Buy Merchandise; Purchase one of our t-shirts, tote bags, dog and cat collars and other items. Host a Fundraiser; Get together with your friends or co-workers and host your own event to raise money for the shelter. HOPE Humane Society relies heavily on donations, either monetary or the necessary supplies to better the care and treatment of all animals within our shelter. If you are interested in helping us to achieve these goals, please consider any of the items from our Amazon WishList by clicking on the image below, or a cash donation, which is gratefully accepted and appreciated.